Ford’s electric F-150 pickup truck is no secret. Spy photos show a camouflaged F-150 with an EV charging cable plugged into the lower portion of the front bumper. But an electric Silverado competitor is nowhere to be seen, yet. During General Motors’ earnings call earlier this week, General Motors CEO and Chairman Mary Barra touched on the hot-button topic with a non-answer that would make her corporate PR wranglers proud. “We believe in an all EV future so you’ll have to stay tuned,” Barra said, according to Motor Trend. That’s not the answer we wanted. Electric vehicles are coming no matter what, so it’s likely only a matter of time before GM unleashes an electric Silverado and Sierra duo. It just may be a while, or the automaker is keeping its development under wraps. General Motors has laid out an ambitious plan to release 20 new EVs by 2023 with the onslaught of electric vehicles starting as soon as 2021. Spearheading GM’s new electric vehicles is a new electric crossover from Cadillac the luxury brand announced last month during the reveal of the 2020 Cadillac XT6 ahead of the Detroit Auto Show. 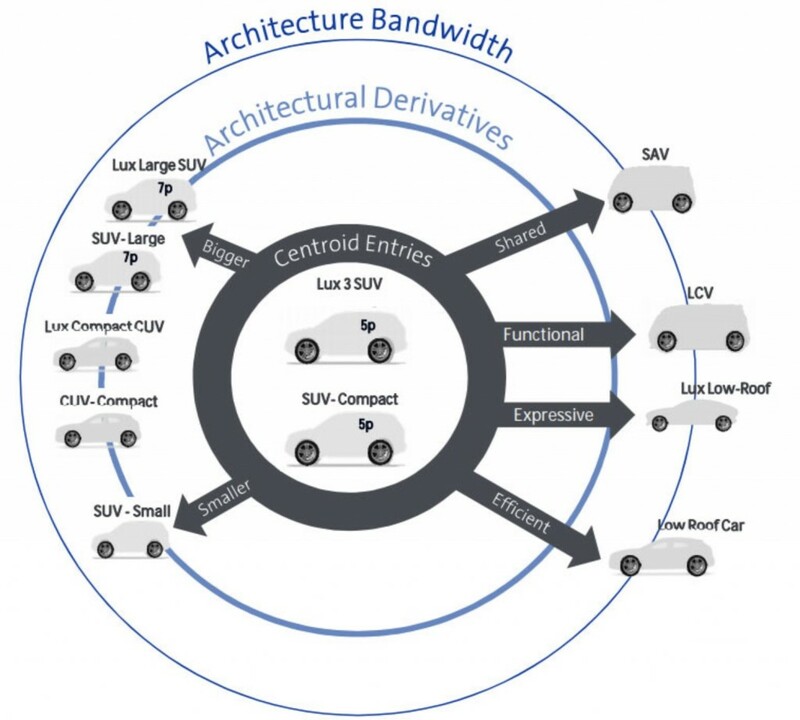 Right now, the automaker is focusing on building EVs based on an all-new scalable EV architecture. The plan GM laid out showed a plethora of vehicles—none of which were a pickup truck. That doesn’t mean GM isn’t working on such a vehicle. It means the automaker isn’t building it on the all-new scalable platform, which makes sense. Instead, GM’s scalable EV architecture will underpin vehicles like a compact five-passenger SUV, a light commercial vehicle, “low-roof” car, seven-passenger SUV, and more. An electric Silverado or GMC Sierra is inevitable as EV technology advances in the coming years. Right now, Ford is at the forefront of electrifying the American pickup truck, but it’s doubtful General Motors is that far behind its competitor. Why is it ‘doubtful’ GM is behind its competitor? Ford has an EV truck in the works. Given GM is only second to Tesla in EV sales in the US. I would believe GM is further along with an EV truck than Ford. Also the Silverado design allows for EV and PHEV powertrains. GM is in a distant second. Tesla outsells the Bolt 10 to 1. Kind of reminds me how Elizabeth Warren claimed to be Native American to get preferential entrance treatment at Harvard and special consideration at the Bar Association. Fraud! This forum is about cars not politics [email protected]@clown…plus do your research on your ignorance, Warren got no preferential treatment, you uninformed conspiracy loon. Really, it is not about politics? So explain why SJW Sean constantly pushes his political bias on here, under his own name and others? Do you actually read all the articles or comments, or only make dumb comments when the propaganda doesn’t go your way as planned? Yeah we get it, you fear powerful women. Here on planet Earth, GM’s current leadership team is the best they’ve had in decades. GM’s corporate culture was a toxic stew when Barra took the helm and she’s right to cut out the dead wood and foster a more open atmosphere. Lets hope GM isn’t sitting by when Ford undoubtedly releases the EV F-150. I agree, no way GM isn’t in full development mode right now. They just do not want to say anything about future programs. I can tell you for a fact that there is no Electric Silverado in the near future. Barra gutted engineering in these cuts of hers. Even the head of the pickup program says an electric pickup is 20 years away. Miss Machete Mary Barra is just disgusting. Fires more than 15,000 American and Canadian workers, the same people that saved GM operationally and through $50 billion + in taxpayer handouts to bail GM out…She doesnt blink an eye…And successful and profitable companies dont fire so many workers at once if “things are working out, we are just doing a little cost cutting…” See Toyota and others are ADDING plants and American workers in the U.S. these days?! Nine months after Toyota announced that its Guanajuato plant would produce Toyota pickups instead of the Corolla sedan, the Japanese automaker confirmed that the manufacturing complex is already 40% complete and on schedule to open by the end of 2019. Previously the company had established a production capacity of 100,000 units per year, but according to Mexican media that figure is expected to increase. Guillermo Díaz, Operations Director of Toyota Motor Sales of Mexico, informed in a press conference that, in a first phase, the plant will assemble 100,000 units and will generate 1,100 jobs. But in a second phase, the production will rise to 200,000 units and later it will reach a capacity of 300,000 light trucks, all this before 2025. So where is Toyota adding plants here? I do It believe Guanajuato is not in a Texas. Where are these new America plants? * Toyota announced $10 billion in new investments in the U.S., not Mexico. This includes not just making new plants but expanding current ones…To add to it, they are building their new HQ in TEXAS (that would be the U.S.), not Mexico. Obviously they consider the U.S. more important than Mexico. * Ford recently cancelled plans to move production to a Mexico plant…They will now build in the U.S. New Ford Bronco is being made in the U.S. Funny how GM said it was “impossible to make money on the Blazer” if made in the U.S. Ford figured it out. Honda does great in crossovers out of the U.S. and on and on..
* Toyota is not slashing American jobs. GM is. Yet GM received over $50 billion in American taxpayer bailouts. Wonder why Toyota treats its American workers better than GM? The final tally was $10 billion, not $50 billion, moron. How many billions of free tax payer money do oil companies get every year? They sure don’t support millions of jobs like an auto company. The fact Toyota is so much more profitable is because of the Yen to Dollar advantage it enjoys due to Japanese currency manipulation. You’re a totally uninformed, disingenuous hack, stfu. Excuses, excuses. And BS too. The exchange rate is only one part of business and accounted for in risk-management decisions. It is not BAD MANAGEMENT decisions like we always see at GM. And trying to say “well oil companies do it” is just a sad cop out when you have no argument left…But no oil, no cars = no GM sales = GM is getting another indirect subsidy to the tune of billions. It was more than $10 billion, but laughable you would say “only $10 BILLION! And even if it was “only” $10 billion, I guess it doesn’t matter that it came from the pocketbooks of the American and Canadian taxpayer who bailed out a big corporation only to have their jobs stolen from them by Miss Mary Barra in the name of “corporate restructuring.”. Why doesn’t Miss Mary take a pay cut to her lofty salary at the same time, which is FIVE TIMES that of the Toyota CEO?! What, she can’t live with only a $5 million a year but has to fire over 15,000 GM workers to “be efficient”? Mary Barra is a FRAUD. Lol, you don’t even understand what a currency advantage is. I was simply pointing out your crazed lunacy to harp on GM getting help when other industries far less vital to our overall economy get as much or more. I’m sorry you’re not capable of rational thought over your apparently irrational hatred of all things to do with GM and “Miss Mary Barra”. You are seriously kooky! Right it was $11.4 billion if you believe Time…. and that was because the Treasury chose to sell it’s stock at a loss rather than hold on to it longer. I didn’t say ONLY $10B S**t for brains…read the post. I bet I pay far more in taxes than your ignorant [email protected]@ does and I supported it for the workers and the suppliers. Excuses? I’m trying to be rational with a psychotic…looks like a waste of typing! Why are you not demanding these 300.000 trucks not made in America? Wher is your out rage at the 2 Honda plants in Mexico? The 4 Benz plants in Mexico, BMW is adding a second model to their Mexican plant. Where is the out rage. Toyota has already cut 650 Jobs in KY and more are planned. You must remember Toyota is new to our market unlike GM who has 100 years of over capacity. Toyota only employees 8000 permanent workers globally and 1500 temps. It is a much different structure. Even then with the contracting market they will be making more cuts. The new Texas headquarters lost jobs in KY too. Stop your fake union troll out rage as you fool few folks. “The Dearborn, Michigan, automaker is eager to highlight that it is building more vehicles than its rivals do in the United States. Ford built nearly 2.4 million vehicles in the United States in 2018. “We are furthering our commitment to America with this billion-dollar manufacturing investment in Chicago and 500 more good-paying jobs,” said Joe Hinrichs, president of global operations. If Ford can do it, Miss Mary Barra has no excuses…but she always seems to have many, doesn’t she, along with her excuse-making followers. Quick question, does Toyota or any other NON Traditional Big Three Auto maker forced to hire Union Workers in their plants? Our own Government is making our back yard into an uneven playing field. It has been happening for year. But definitely getting worse the last five years or so. Why do you think all these Import brands are building like mad in our Southern states? The bailout was a long time ago and it had no provisions forcing GM to become a socialist company. This isn’t hard to understand: they can’t run manufacturing plants to make work for employees if nobody is buying the cars. Blame them for designing bad cars, not for closing plants. Also note that Toyota is not investing in UAW plants, they’re going to southern states with few labor protections. Unfortunately those UAW plants are more expensive to run, that is why GM and Ford have moved some production to Mexico. If you don’t want to sound like an imbecile then you need to understand the economic realities faced by the automakers before you go off on your political rants. Remember the GM toyota plant (Nummi, which now is The Tesla plant) that toyota got in the GM bankruptcy and instead of keeping Americans working, because they still had the sales numbers, they closed the plant and opened the very Mexican plant you are referencing. For some reason Americans seem to hold our own companies to a much higher standard than that of foreign ones at the detriment of US jobs. NUMMI was a joint venture and not a “Toyota plant” why it was closed. Toyota operates 10 full assembly plants in the U.S., ONLY 1 in Mexico! Obviously they value the American worker more than Miss Mary does. Toyota, Mercedes, BMW, Honda, etc. all have much higher loyalty to their workers than GM. Check the stats. GM just fires staff on a whim and especially if they are the same American and Canadian staff who bailed them out. Yet GM senior execs make way more money than those said companies. GM just fired over 15,000 of it’s American workers and counting…Toyota, BMW, etc Al did not and yet they aren’t even American companies…Shame on GM! Don’t be ridiculous. None of these companies have loyalty to their workers. The simple truth is that Toyota and BMW are better at designing and manufacturing cars that people want to buy, so they don’t have to close plants. Nobody wants to buy GM’s sedans, so they are forced to close plants. Do you actually believe GM should engage in some socialist endeavor to operate plants out of the goodness of their hearts? Pay workers to build stuff nobody wants to buy? How long do you figure that would work before all GM employees lost their jobs? At least they are not closing American plants like GM is. mexico has no import tarrifs agreements with many other countries so the Toyota can be sold around the world with no import tarrifs. GM has the ability to do a EV truck when ever they see fit. The present truck was stated it was designed to use fuel, hybrid, fuel cell or EV power system. This was stated at the introduction about the platform. GM has shown the ability to make EV systems as units. There is no need to design all the systems of the ice vehicle. The main problem is cost that only will come down with volume. The problem is truck are generally purchased by the most non EV customers out there. Yes electric has a lot of torque but the problem is when you use it the range drops fast. So it is not like you are going to tow your gooseneck cross country with a truck like this very soon. I believe GM is just waiting till there is a EV truck market that is affordable and reasonable before they make the move. Just because you can build them is not a sign they will sell or make money yet. Someone should tell Elon to stop work on the upcoming Semi and the Pickup truck then. Everything is relevant. ICE technology 10/15 year ago wasn’t the same as it is today. Why does everyone forget that? Do we think that battery Tech will remain stagnant and not advance? It just makes no sense. Finally, a sensible comment. Thank you! She should’ve pulled her brow forward scoffing, “No them schits make money.” Or, “no we’re trying to make money selling trucks” would qualify. Many na-sayers say that GM should of this or that and therefore they’re not doing anything because the company makes no announcements. It is obvious that most do not know about “corporate secrets “. All employees, especially those in development and engineering projects are not allowed to say anything about there work. If an announcement was made and the project never took off because if cost, engineering issue, market changes those same na-sayers would criticize GM. Why would you want the competion know what you’re bring to market?